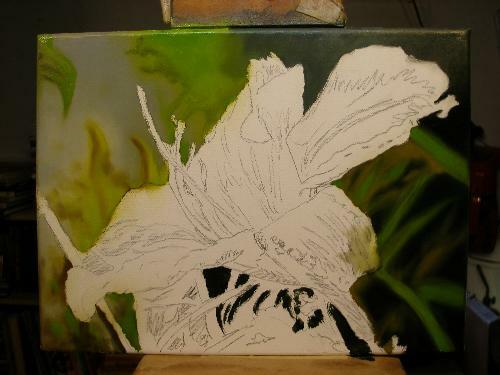 Alla Prima painting of a lily demonstration. 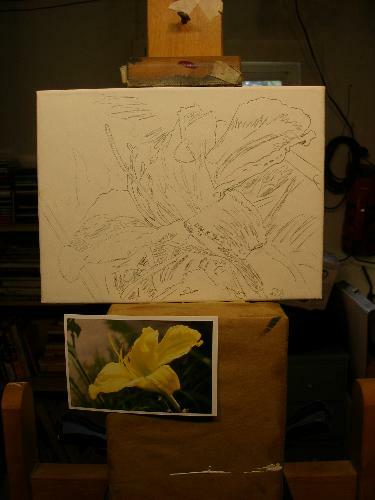 Painting Alla Prima of the yellow lily. 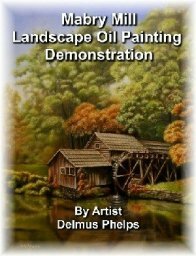 An oil painting demonstration. Here's an Alla Prima painting I've been wanting to do for a while, but wasn't sure I could pull it off. My usual method is the flemish layered technique, and I haven't tried one of these in years. Nothing like getting your feet wet, right? No practice, just a little planning to think about the subject and how to mix my colors. This is a fairly long demonstration, so I'll split it up on 2 pages. As described on an earlier page, we start with a sketch of the subject matter. In this case, we're using a photo of a single yellow day lily that has some spectacular highlights that I hope I can develop. 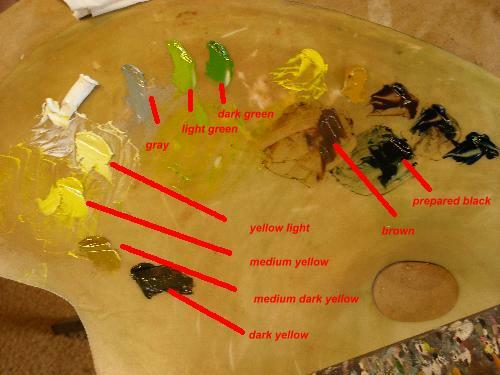 Below are the colors I'll be starting out with. I could have toned the canvas with a yellow acrylic before the pencil sketch, (this would help push the yellows to a brighter intensity) but because of the photography, I wanted you to see the sketch better. Next we have our paints mixed for what I feel I'll be needing the most of. I will also be doing some blending on the canvas too. 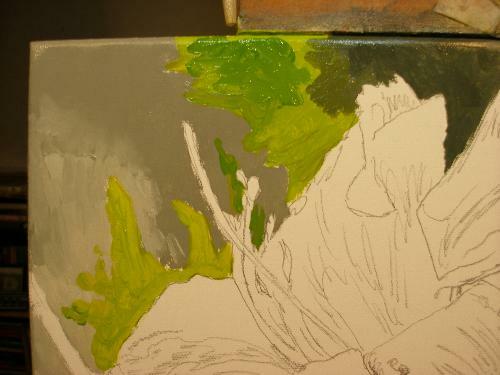 I start with mixing my greens, a light and a dark using the cad yellow and prussian blue to get these. More yellow for a light green, more blue for a dark green. 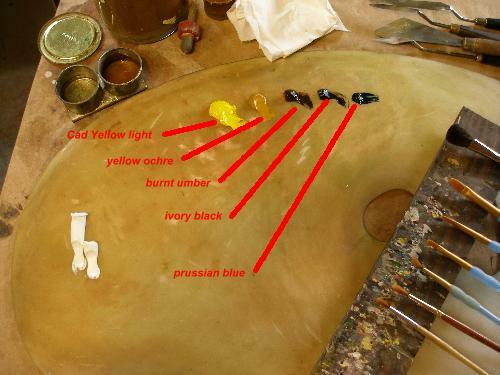 The yellow start with open yellow, then progressively adding more ochre and burnt umber to darken. The lightest yellow is open yellow with white. 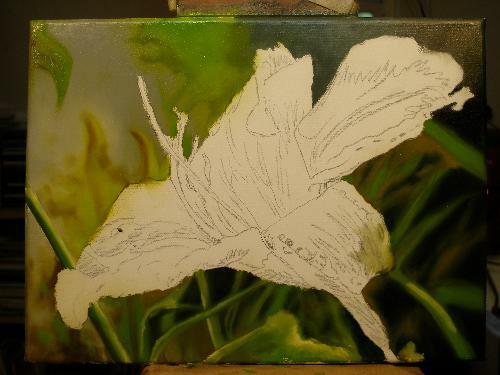 My brown for background sticks and stems is burnt umber and yellow ochre. The prepared black is 2 parts black, 1 part umber, 1/8 part blue. Colors are blocked in quickly and thickly to each area for this alla prima demo. 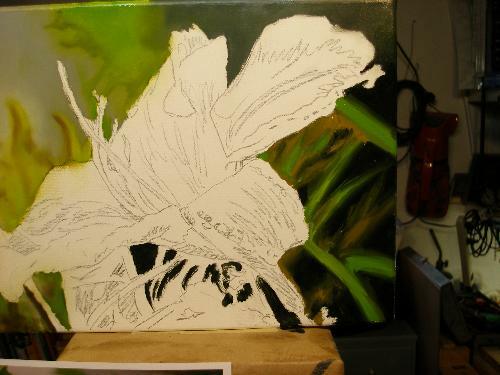 I then use a correcting or blending brush to start my blending and fuzzing out of the background. Once I'm comfortable about my colors, I then can do a bit of final blending with the dry mop brush to really take out any hard edges. I do leave a forward stem to help frame the blossom. In the next section, we will discuss the main blossom. I work in a clockwise order for the background in this case so as to leave the main blossom for thicker and cleaner paints. I didn't want to muddy them any with the blending required for the background. Click here to go to the next series of photo's for this demonstration. Part II of our Alla Prima Demonstration. 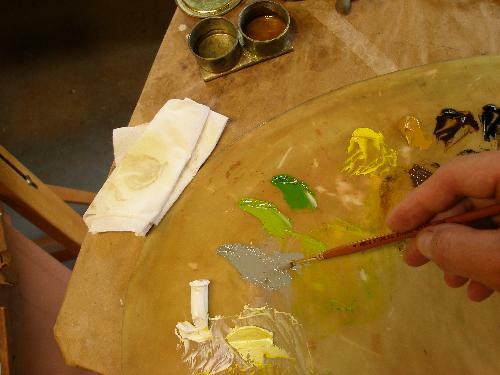 Click here to head back to the top of our Alla Prima painting.